The University of Missouri-Kansas City plans to build the new home for its performing arts programs on the university’s Volker Campus. The proposed new home for the university’s internationally acclaimed Conservatory of Music and Dance and Department of Theatre will be on campus on a site immediately adjacent to the existing Olson Performing Arts Center and will face Volker Boulevard, creating a dramatic, iconic new front door to campus. It will be a significant addition to an arts corridor that already includes the Nelson-Atkins Museum of Art, Kemper Museum of Contemporary Art, Kansas City Art Institute campus and the newly expanded and remodeled Olson Center, home of the Kansas City Repertory Theatre. The decision to locate the new Conservatory on campus is the culmination of a years-long process to find just the right home for UMKC’s celebrated performing arts programs. Several years ago, downtown Kansas City looked like it would become that new home, but in recent months, UMKC shifted its focus back to a location on or near the Volker campus, based on feedback from students, faculty and key community stakeholders. With a new location selected, UMKC leaders say they are ready to take the next steps. The profile of the Conservatory, and the community’s commitment to it, has risen dramatically in recent years, ever since the Greater Kansas City Chamber of Commerce named it one of the metro’s “Big Five” top priorities. In 2018, UMKC announced a possible merger of the Conservatory and UMKC Theatre department, which could further enhance the Conservatory’s reputation and reach – allowing it to expand programming and attract new students. The project aligns well with the city’s plan to extend the popular Downtown Streetcar, which will provide a convenience for new audiences to engage with this facility. Leaders in the Missouri General Assembly continue to express strong support for the project, and next steps would include revisiting potential funding for the project going forward. The Conservatory will play a vital role in the overall success of the university as UMKC must improve its facilities to continue to meet accreditation standards and preserve its reputation as one of the country’s best performing arts schools. Agrawal cited the important role the performing arts play in the economies of the community and the state. 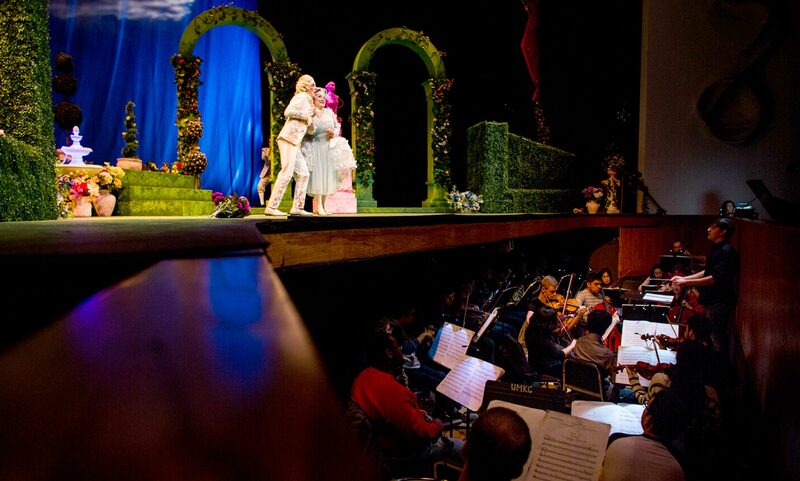 The performing arts are a $1 billion industry for the state of Missouri, with impacts felt from the state’s urban centers, to tourism meccas such as Branson, to the high school bands, church choirs and storefront dance studios that are the pride of communities from Maryville to Poplar Bluff. Review program needs for music, dance and theatre, set final square footage and estimated final cost. Choose professional teams for architecture, design and construction. Consult with key individuals – donors, civic leaders, Missouri’s governor and state legislature, among others – to finalize funding for the project. The new facility will provide suitable space for performance, composition and research at the university that for decades has been designated as Missouri’s Campus for the Visual and Performing Arts by the University of Missouri System. UMKC Music, Dance and Theatre programs share a proud history of leadership in the arts and a profound impact on the cultural life of Kansas City and the state of Missouri. UMKC arts programs, faculty and alumni have provided the foundation of almost all of the Kansas City community’s premier performing arts organizations.